It is also a story of a Freeman’s relationship with a woman named Joy, who regarded his “militant idealism and total identification to his race first with amusement, then irritation and finally, growing concern.” With “no intention of becoming her black brother’s keeper,” she convinces Freeman he can best help Negroes as a Civil Rights lawyer, “join the legal staff of one of the established civil-rights bureaucracies,” “argue precedent-making cases before the Supreme Court.” But Freeman, after trying that route, says, “Baby, there ain’t no way I can work for those motherfuckers. They don’t give a damn about any niggers except themselves and they don’t really think of themselves as niggers. 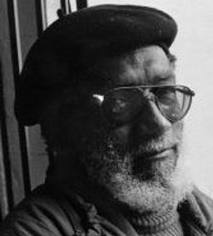 As a side note, I had done a lot of research for Black Writing from Chicago at the Woodson and went to its OBAC celebration, partly hoping I’d run into Sam Greenlee. A year before, I had sent him the excerpt from The Spook Who Sat By the Door that I wanted to put in Black Writing from Chicago. I heard nothing back. I had created the excerpt by rearranging passages and providing context and transitions using Sam’s words and my own. “Did you like what I did with Spook?” I asked him after his reading. “Oh, I loved it!” he said. I had brought along a copy of the permissions contract I had sent him. “Well, can I get you to sign this contract so I can put the excerpt in my book?” “No you can’t,” he said. “I won’t sign anything. That’s the white man’s way. You can put it in the book, but you and I will just have to shake on it right here.” And so we did. And so my publisher had to accept a most unusual permission process. 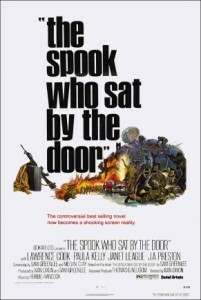 The Spook Who Sat by the Door was made into a film in 1973. Distributed by United Artists, with screenplay by Greenlee and Melvin Clay, it starred Laurence Cook and Paula Kelly, and featured music by Herbie Hancock. 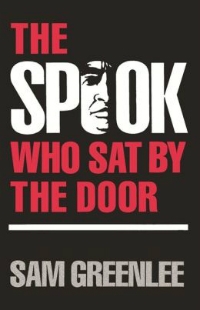 In addition to “Spook” being a racial slur against Blacks, the entire title refers to a practice in the early days of Affirmative Action. When a company hired a Black person, that person would be seated close to the office entrance, so that all could see that the company was “integrated.” See protagonist Dan Freeman’s expletive above. ♦ Go to a list of Black Writers written about on this site, and to the Teaching Diversity main page. This entry was posted in Black Writers, Chicago Writing, Diversity & Multiculturalism and tagged Affirmative Action, black middleclass, Black Writing from Chicago, OBAC, Sam Greenlee, The Spook Who Sat by the Door. Bookmark the permalink.